“The operative” is not bounty hunter Jubal Early, but instead what seems like a one-dimensional character based on the early notes for Jubal Early. I don’t like the explanation of the nature of Reavers. I got to give her credit – so 2 out of 4 movies Morena took a part in are really good. I have half the mind to pick up the other two, to see maybe if they are good too. By the way, I never really understood what’s so great about Buffy the Vampire Slayer. It always seemed like a cheesy show with wooden acting, but then again, I never watched an entire episode or learned the backstory. 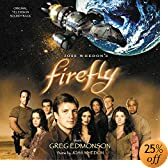 I guess I’ll have to rent the first season DVDs and see if it’s any good. Original TV series soundtrack. 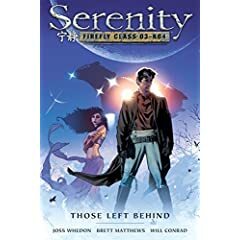 It’s on pre-order still, but at least it’s happening. 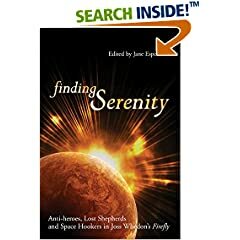 “Finding Serenity : Anti-Heroes, Lost Shepherds and Space Hookers in Joss Whedon’s Firefly” contains rants about “Firefly” from various pundits, including an inflammatory (and labeled by some as “male-chauvinistic”) article about the role of women in sci-fi by John C. Wright (as much as I like his science fiction and hate his fantasy, I have to say that he’s full of it). People say funny things when they are woken up while in REM. I only vaguely remember this, but my wife tells me that this morning I kept saying “404” when she tried to wake me up. This totally makes me feel like Mara Margolies, a character in Ellen Ullman’s “The Bug” who went around saying “Meep” like a robot. This could have something to do with the fact that I am reading “Do Androids Dream of Electric Sheep?” on the train. 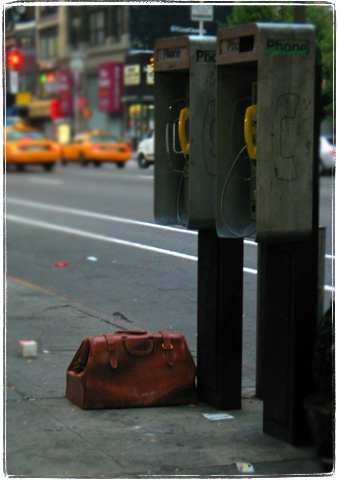 This bag, standing abandoned near a phone booth and some garbage bags quickly reminded me of Cyril Kornbluth’s masterpiece “The Little Black Bag” and it’s follow up story “The Marching Morons”. 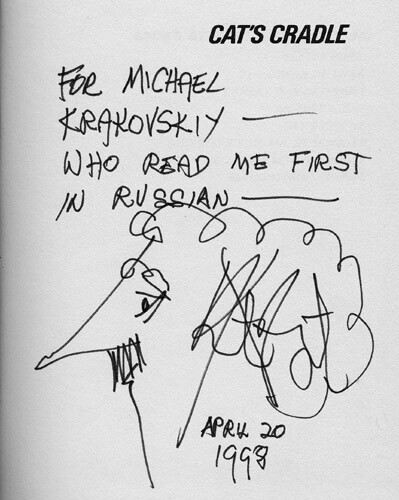 I strongly recommend you get acquainted with Mr Kornbluth ASAP. If you are not cheap, splurge on NESFA’s fine compilation. I bet that bag held a laptop from the year 2047 that could write “Enterprise quality” software by itself. But I somehow chickened out and did not check its contents. Could be a severed head just as well.